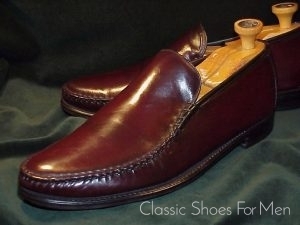 44.5-45 Narrow (US 11-11.5 Narrow) (UK 10-10.5), für den SCHLANKEN Fuss. 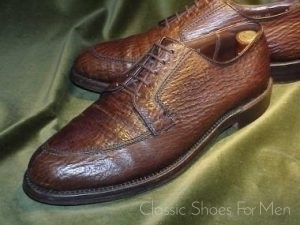 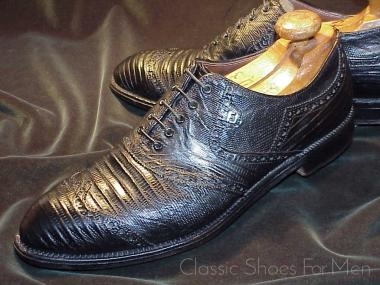 This and one or two other Lizard Footjoys among my listings are perhaps the finest and the rarest golf shoes to be seen outside of a museum….and certainly the most beautiful. The skins are artfully arranged, with fine and coarse patterned pieces distributed for maximum effect, and all perfectly matched between shoes. 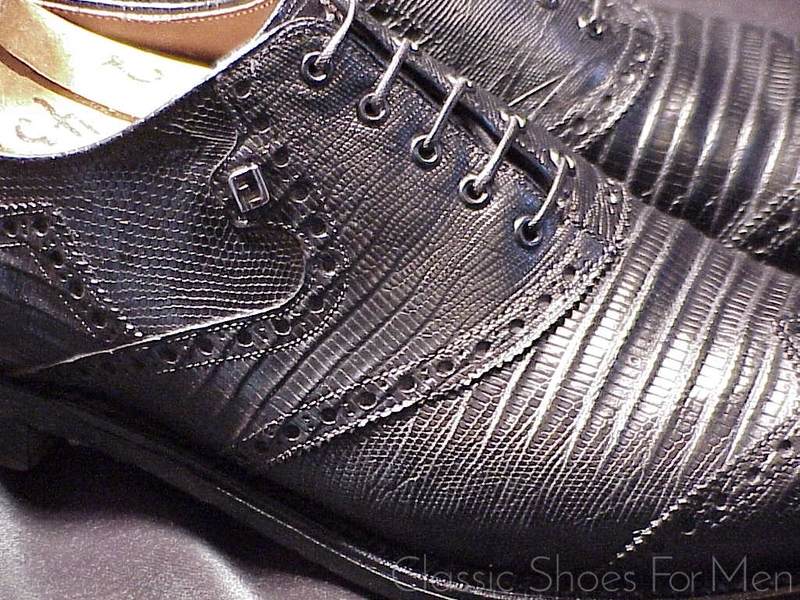 I have learned recently that in March 2008 FootJoy closed it last American-based factory in Brockton, Massachusetts. 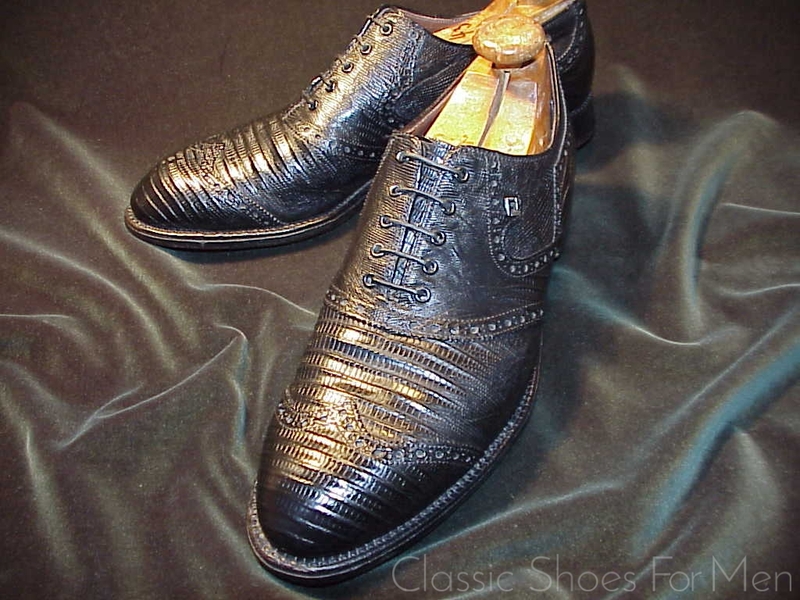 While the firm continues to produce large numbers of sneaker-like golf shoes in its off-shore facilities, this last bastion of old-world craftsmanship in golf shoes is relegated to history, and with it the last source for us of special-order lizard and other exotic-skinned golf and street shoes, the finest in the world. 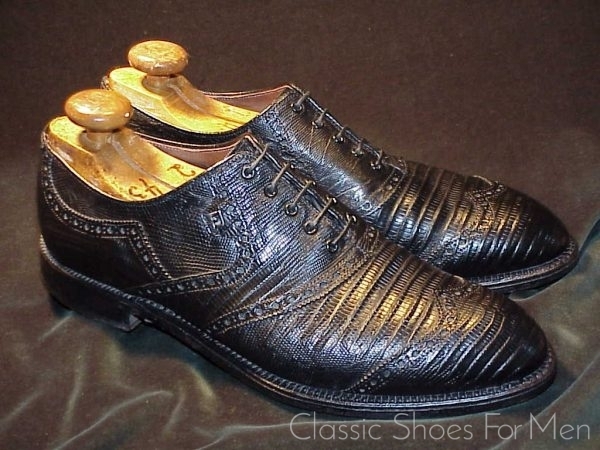 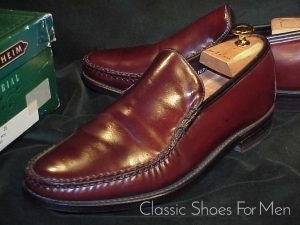 For the moment, a small coterie of craftsmen remain to perform repairs but the 103 highly skilled craftsmen, some of whom had worked in the Field Street Factory since the introduction of the “Classic” line of shoes in 1959, are gone. 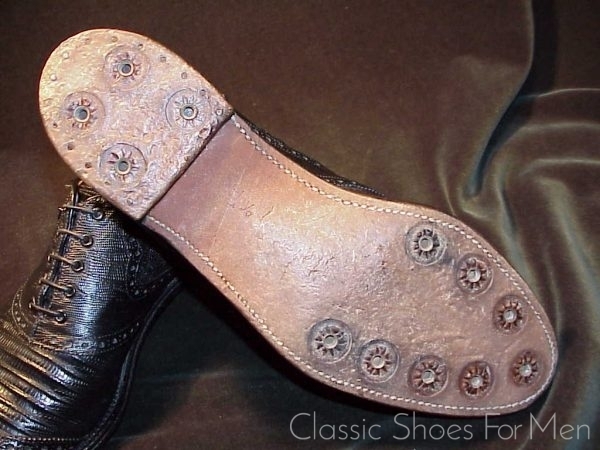 Shoemaking became a major industry in Brockton in the 1880s, and remained so well into the 20th century, but with the exception of the FootJoy plant, shoemaking has already been extinct in Brockton for decades. 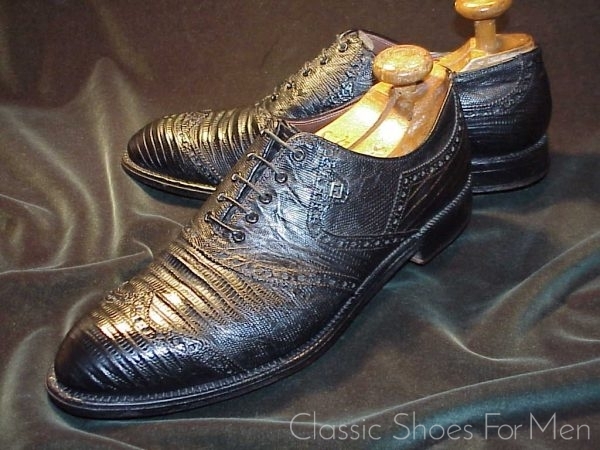 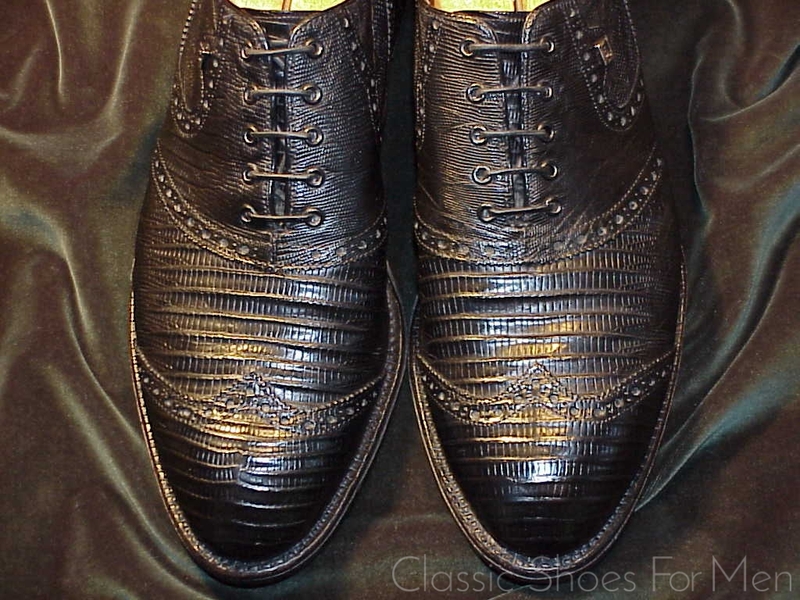 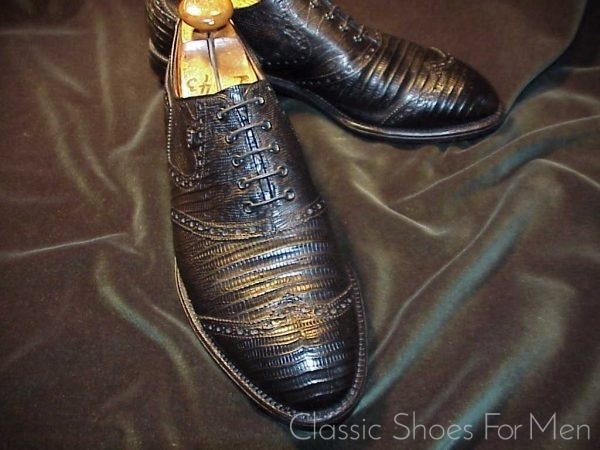 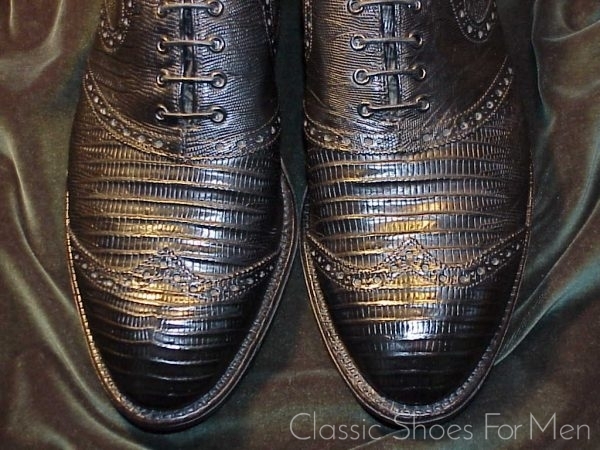 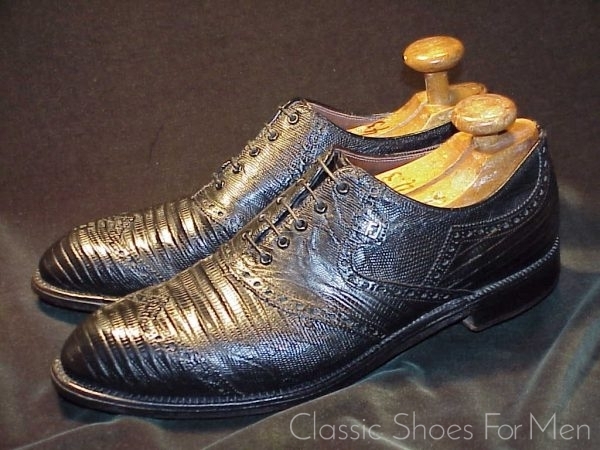 Once more the painstaking traditional Goodyear welted shoe is driven out of the market by the far cheaper cemented shoe or sneaker. 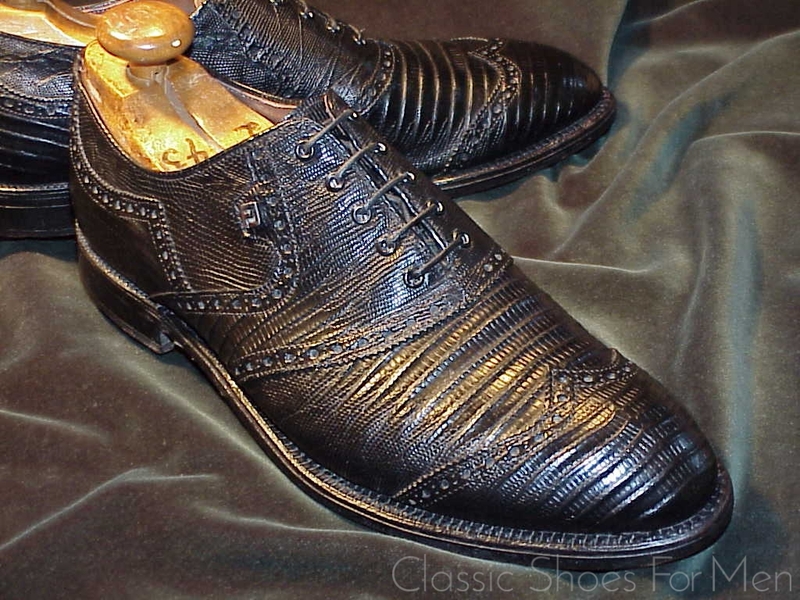 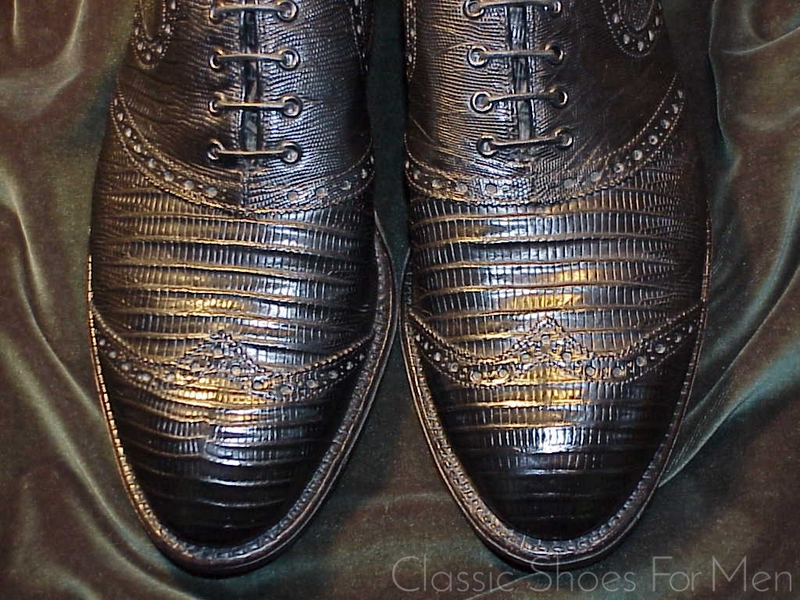 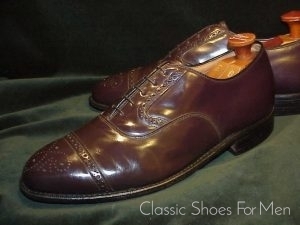 But the splendid shoe shown here vindicates the painstaking craftsmanship and devotion to excellence of this once great firm. 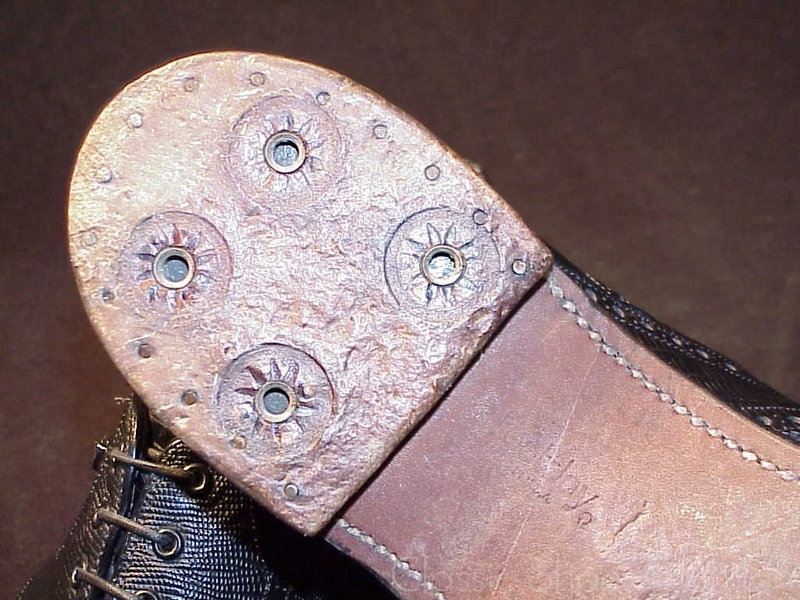 US 11-11.5 NARROW.....Continental 44.5-45 NARROW, for the NARROW foot.